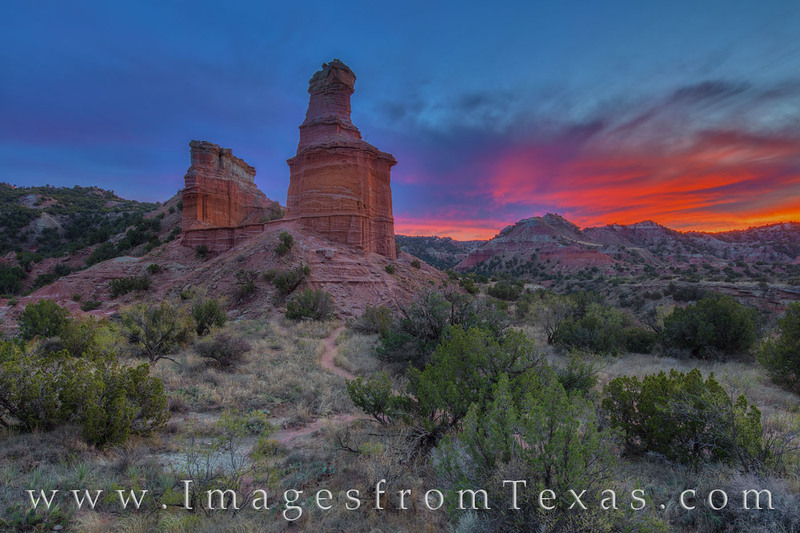 The Lighthouse Trail in Palo Duro Canyon State Park covers a little over six miles round trip. The trail is easy and the climb to the base of the iconic monument is invigorating. The view from this small plateau offers vistas both east and west and far into the canyon. This sunset photograph was taken in late November on a cool evening. The walk back in the dark was fun, as well, as the night seemed to come alive with noises and critters. Photo © copyright by Rob Greebon.